Problems in the Travel Industry? The industry is plagued by monopolized interests and a centralization problem. A few powerful middlemen in the market effectively dominate the data, content, and traffic and have created a lucrative business model in monetizing them. While such centralization may have brought about certain efficiencies, it has also led to the creation of a bottleneck in relationships between businesses and consumers, a great many of which have become one-sided in favor of the middlemen. The team behind Atlas have successfully created Zanadu, China’s №1 brand in luxury travel, providing consumers with quality travel products and content from around the world. 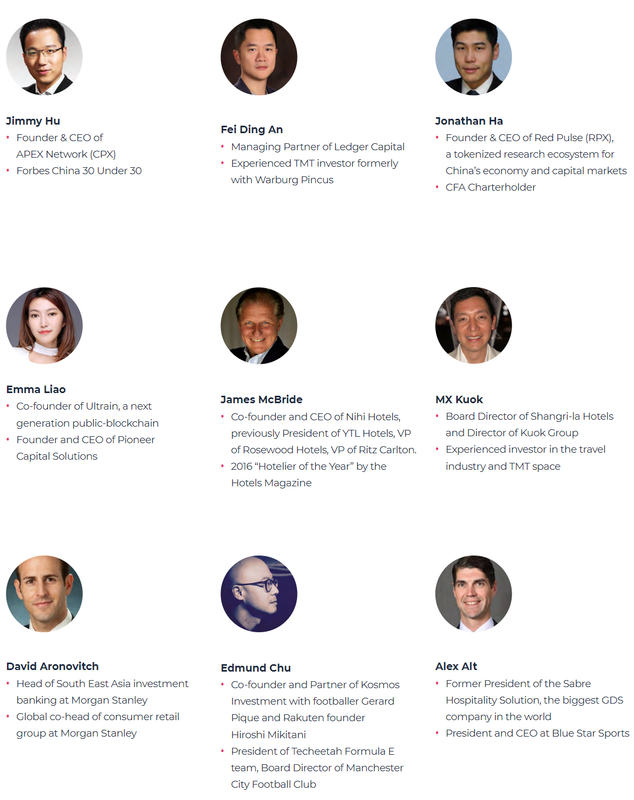 Run by an international team with co-founders from China, US and Germany. It is backed by a stellar investor base that includes China tech giant Tencent, Matrix and Prometheus Capital. 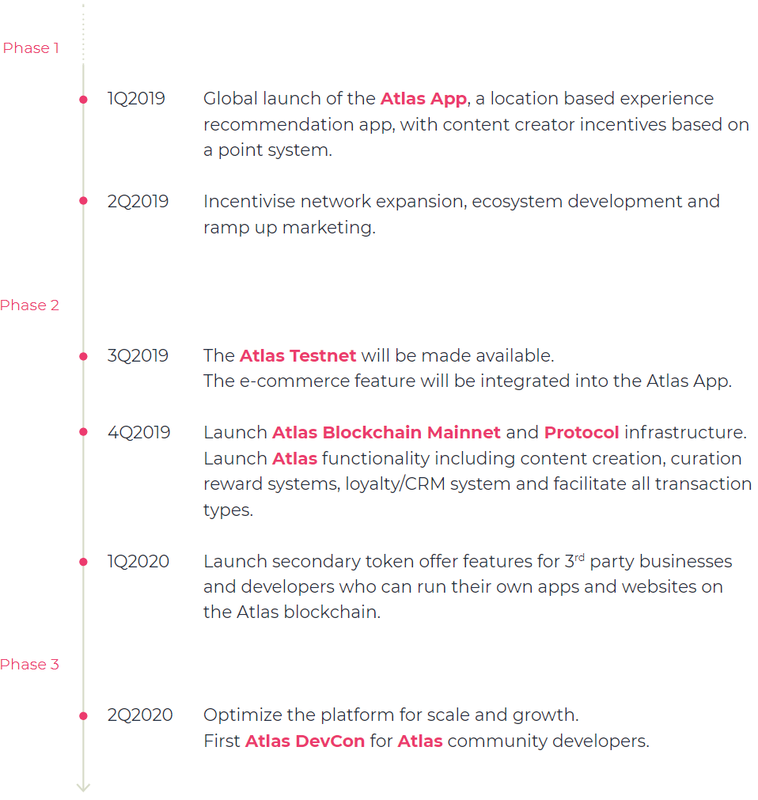 Atlas will provide a smart contract based blockchain infrastructure that connects all consumers and businesses in the travel industry, building a decentralized database network that incentivizes content creation, transactions and consent-based sharing of user data. Atlas will provide a robust travel ecosystem that will record and process venue booking transactions via Smart Contracts. Venues will also be provided with an interface that allows them to customize their own Smart Contracts to comply with their business policies and agreements. This ensures cooperative yet trust-free relationships between service providers, venues, and customers across the entire travel value chain. There are many benefits to this, including cost savings with the removal of intermediaries such as OTAs, time savings from automated business processes that verify/confirm the parameters defined in the Smart Contracts, and the trust created from storing information on a public ledger. 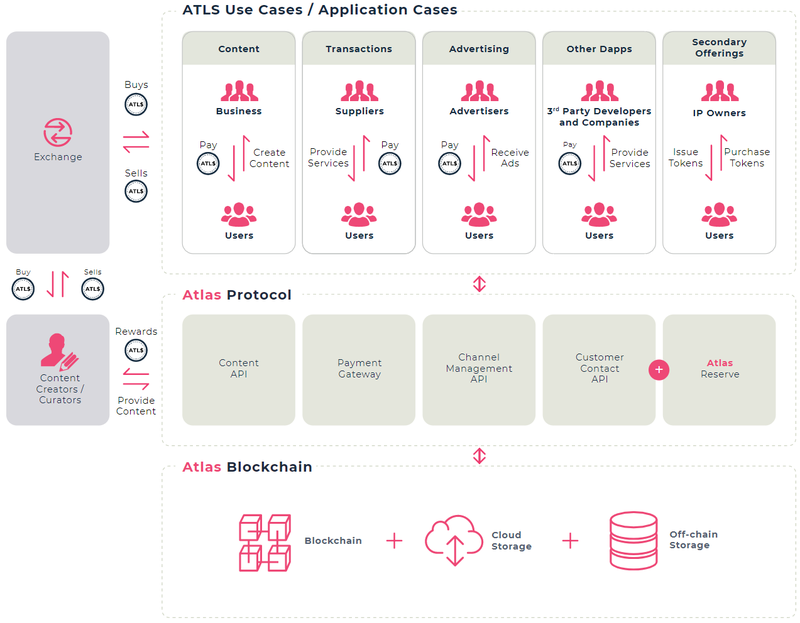 Atlas Token (ATLS) is the unit of exchange, the bearer of value and the rights of governance in the Atlas ecosystem. Content: To incentivize content creation, it is of utmost importance to have a fair and decentralized system to attach value to the various forms of content created. There are 3 ways that content creators can be rewarded. From the system: There will be an annual supply of ATLS and airdrops from the reserve to reward content creators and curators. The algorithm will be weighted on up-votes by SATLS holders. Peer-to-Peer: Users can choose to reward content creators who provide valuable information by paying ATLS directly to them. 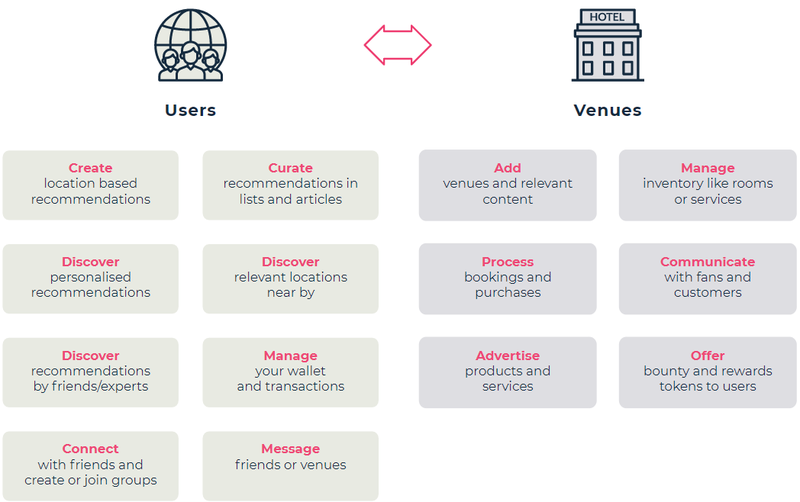 Venues-to-Users: Business venues can reward users who create content about its venues by offering payment in ATLS. Conflicts of interests can be avoided by using a smart contract system that ensures payments are independent of whether the content is positive or negative in nature. Transactions: The Atlas app will operate on a zero commission basis for transactions, which will provide significant savings for the vendors (hotels typically pay 15–25% commission to OTAs). Vendors transacting with tokens will also save on the various transaction costs associated with foreign currency conversion and cross-border bank charges. Rebates: Businesses are encouraged to provide 3–5% loyalty rebate in ATLS directly to the consumers from the commissions saved for transactions, in exchange for cross-vendors user data by consent. Coupons and Vouchers: Venues are encouraged to issue coupons on the platform payed with ATLS which can function as discount vouchers on food & beverage or redeemable services such as room upgrades. Fiat gateway: Atlas will accept payment in fiat and convert it to ATLS on the users’ behalf with a 5% service fee. Fiat raised via service fees will be used to purchase ATLS, which will be added to the reserve. Advertising / Direct Marketing: Travel businesses are able to use ATLS to pay for consumers profiles and direct marketing on a consent basis at the Atlas platform. Advertisers have the option to pay in fiat, which will then be converted into ATLS, with an additional 5% charge. To benefit from the voting power and annual rewards from the newly minted tokens, ATLS holders will have the chance to decide how many tokens they wish to lock into a separate Smart Contract for 8 weeks, allowing the regular ATLS to become Staked ATLS (SATLS). The amount of reward earned depends on the holding period and the amount of SATLS that is being held. SATLS can be converted back to ATLS when the contract ends. SATLS cannot be traded. 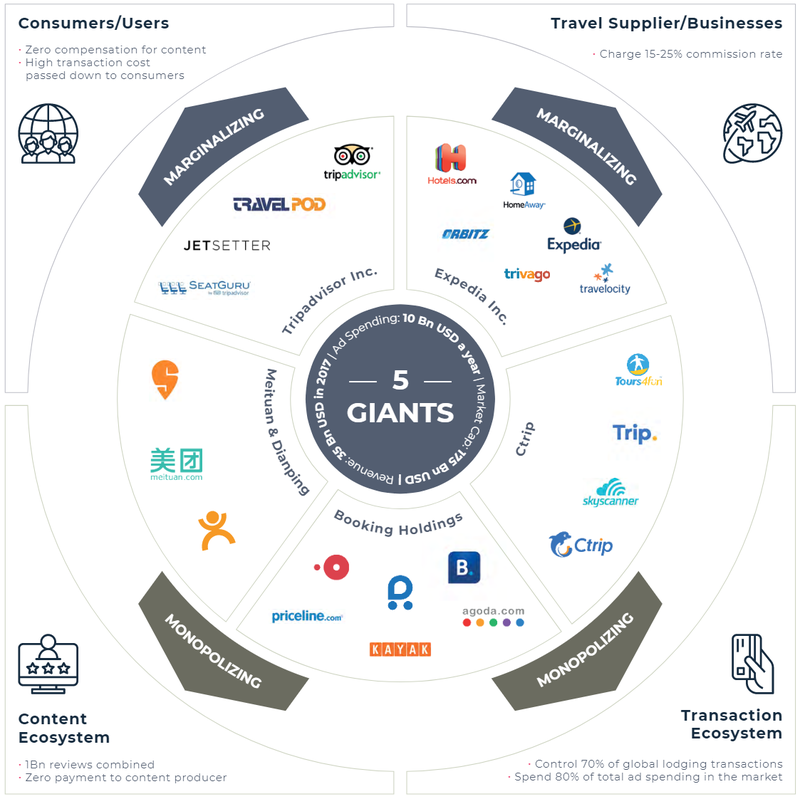 To build a vibrant travel ecosystem, Atlas needs to build partnerships and garner support from travel suppliers and other participants of the travel ecosystems. 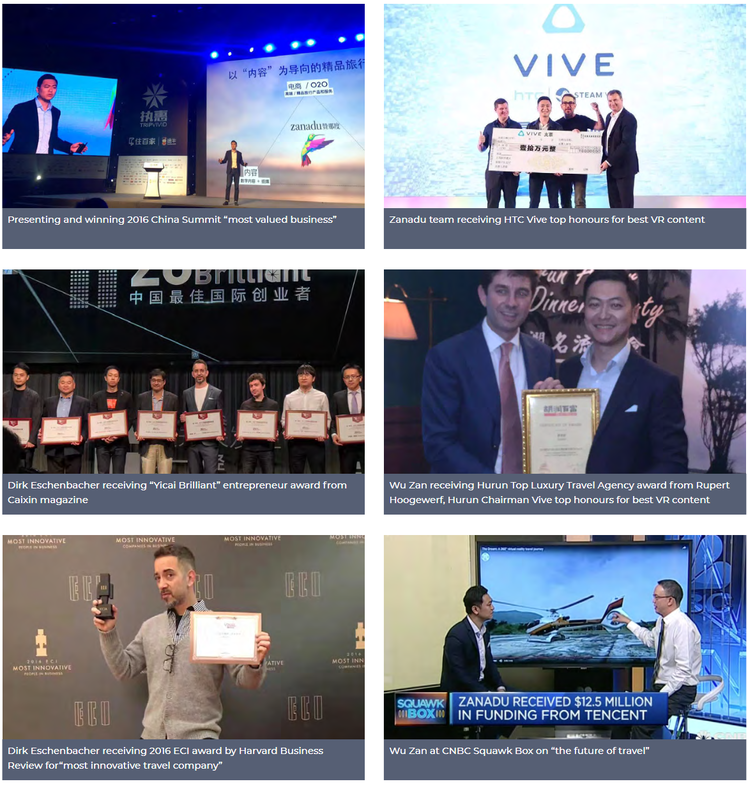 As the market-leading luxury travel platform in China, Zanadu has established successful and extensive partnerships with the world’s best hotels, travel suppliers, consumer brands and media platforms, accumulating more than one million influential and loyal users. 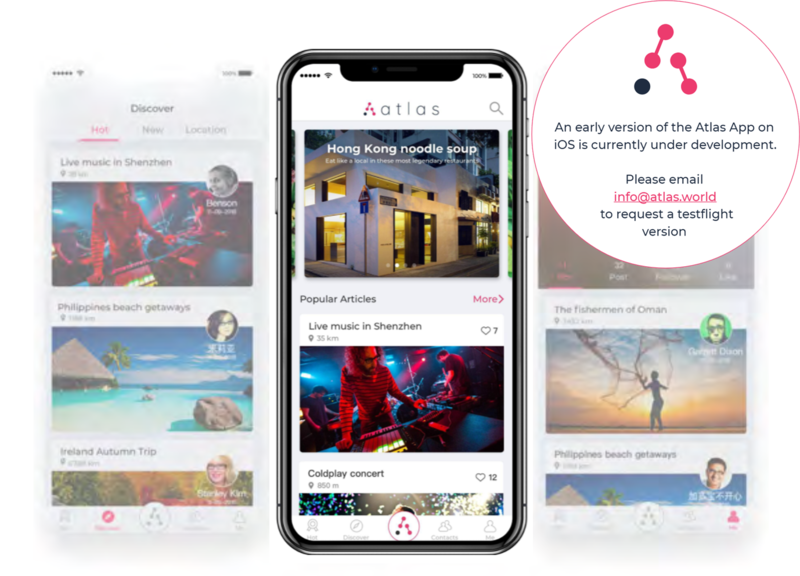 These strong relationships and networks and existing user-base that are already in place will allow Atlas fast adoption for real-world usage and rapid expansion in the travel industry. The Atlas App is the key application to bring the value of the Atlas Network to life. 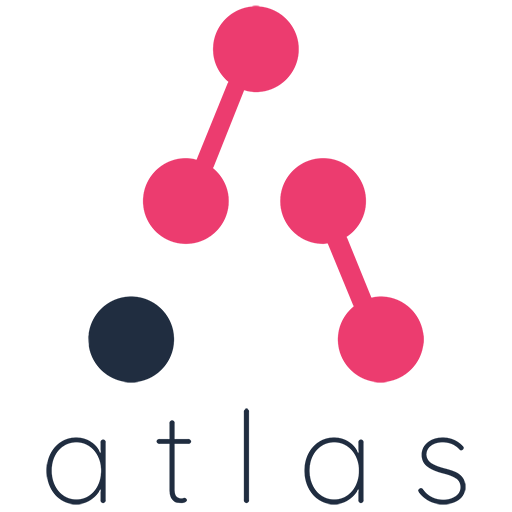 It is an example of a DApp on the Atlas blockchain, using its open API and transparent data access. It also serves to upstart the ecosystem, by forging a content platform with a powerful incentive scheme, a zero-commission marketplace for business venues and an advertising model that rewards users. Our team and advisors have deep expertise in the travel industry, software engineering, business development, blockchain technology, cryptocurrency and entrepreneurship. Universal base-level blockchain protocol for the travel industry.